The differences between diamond and Moissanite drive many people to carry out continuous research on these two minerals. These minerals are strictly identical to the extent of confusing them. You need to have a complete comprehension of the facts and differences that define each mineral so that you can differentiate the two mineral. Moissanite and Diamond minerals distinctly vary based on their color, hardness, brilliance, and quality. You need to know these differences as outlined below. Moissanite and Diamond’s minerals have a small color difference that creates a slight difference between these two minerals. The saturation of color in Moissanite is based on the quality level of the Moissanite mineral. Moissanite has varieties of colors that start from colorless which are similar to the colorless diamond in D-E-F color ranges. The Moissanite mineral that is near colorless is similar to diamonds in G-H-I color range. Classic Moissanite is lower on the scale and is yellowish in appearance. The most popular Moissanite is colorless, but one with ice white color is a fantastic category. Diamond and Moissanite minerals have major differences in degree of hardness based on scale. According to the Mohs scale of the mineral hardness, Diamond hardness is 10 while Moissanite is 9.25. From this scale, diamond is the hardest followed closely with the Moissanite. Moissanite degree of hardness is higher than the gemstone making it an equally harder mineral among other minerals. Diamond and Moissanite have different abilities to reflect white light. The ability of these minerals to reflect light is a true measure of their differences in brilliance. Moissanite is more brilliant because it disperses light better than a diamond mineral. Moissanite keeps its sparkle for a long time because it doesn’t attract any grease or dirt between two cleaning periods. Diamond is more costly than the Moissanite mineral. Diamond price is varied on clarity, cut together with other more exceptional characteristics. However, this price is contrary opposite to Moissanite whose price is constant and varies only based on the size and type of the Moissanite mineral. For example a 0.5 Carat sized, GIA certified diamond which is round in shape costs $1100+ while Forever One Moissanite 0.5 Carat sized and same quality as diamond costs $269. Moissanite mineral usually ranges in a variety of qualities defined by the mineral difference in color appearance. It is simple to select Moissanite quality than choosing a diamond mineral. 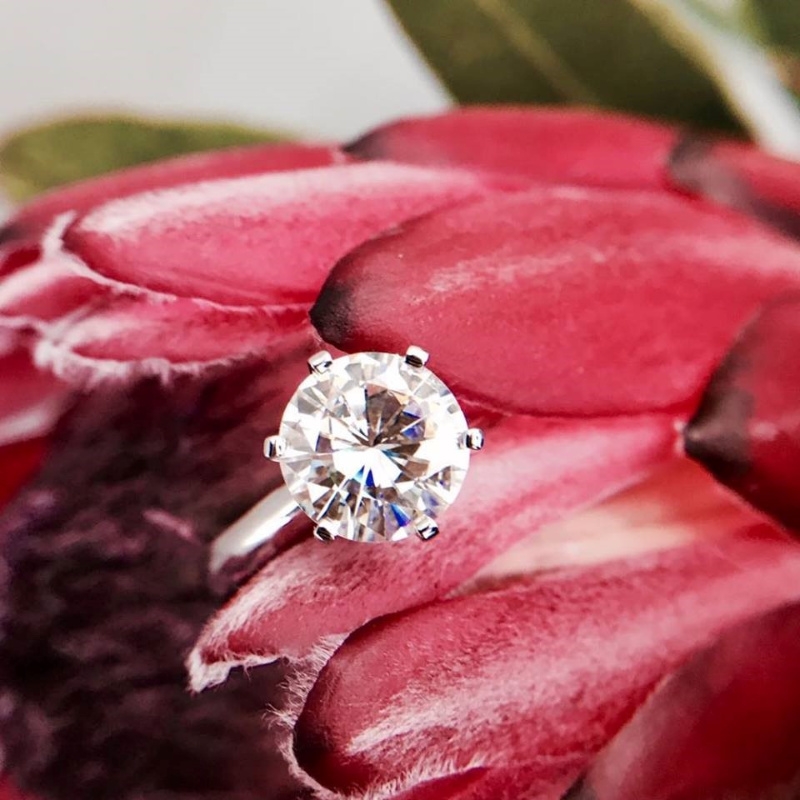 The quality of Moissanite is based on clarity which is nearly flawless, but diamond has all sorts of imperfections making it be graded into Flawless grades. These grades define different diamond qualities. Cushioned brilliant cut diamonds are appealing to the eyes because they have a bright sparkle which mimics brilliantly round cuts. Cushion Moissanite cuts don’t appear as true cushion brilliant cut diamond which only comes in square cushion shapes. When you check on Moissanite wedding bands, you will notice that it is not a real diamond but share the same brilliance ability. Moissanite gives off more spectral colors and fire than diamond. When you place diamond and Moissanite side by side you will notice that Moissanite emits more colorful flashes of light than diamond. Moissanite has a great level of dispersion than diamond. Moissanite pear cut shows a slightly softer and more rounded appearance. A diamond cut has a harsher tip than Moissanite. This shape makes Moissanite appear more attractive than the diamond mineral. Diamonds were formed after compression of coal below the earth surface many years ago, while Moissanite originates from the stars as fragments of the meteorites. Moissanite is reared in the lab, but diamond is mined from the earth surface. Moissanite doesn’t appear exactly as diamond, but it is a suitable option for people who admire diamond. It is cheaper and glitters more than diamond. Many couples create admirable engaging ring without incurring higher diamond costs once they go for Moissanite products. There many options to make engagement rings more affordable and beautiful. 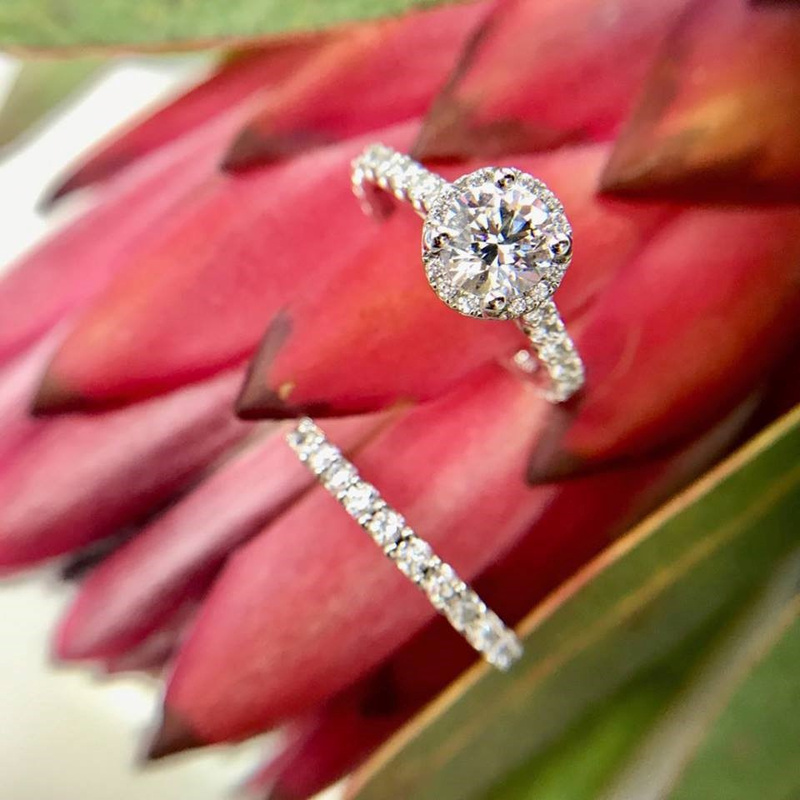 Moissanite is a rare and scarce mineral but competes with the diamond to produce exceptionally brilliant and attractive engagement rings for people. You don’t have to overlook this mineral because it provides nothing but the best jewelry.